lead/culture AWAKEs, GROWs, INSPIREs individuals and businesses to become inspiration/leaders and intuition/companies resp. to make a difference each day: Outgrow Yourself, Inspire the World! Ich bin erst zufrieden, wenn ich begeistert bin. > Distinctive Leadership Thinking: inspiration/leader. 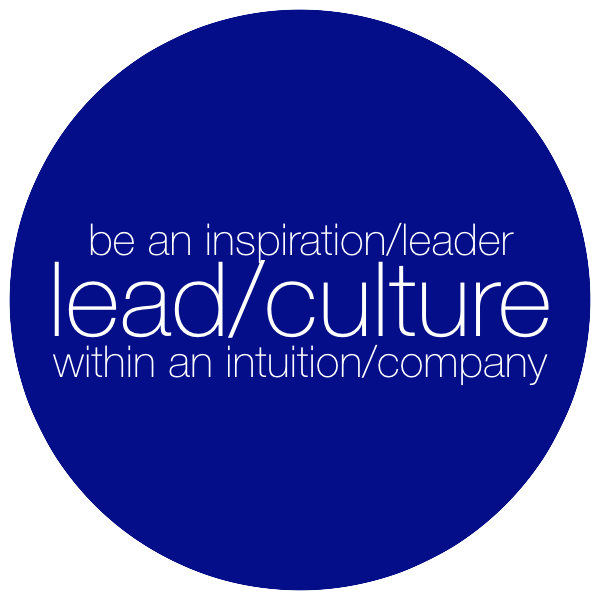 > Distinctive Leadership Culture: intuition/company. Awakes the individual's or business’s true talents and assets. Grows individuals or businesses into brilliance to transcend the shallows of daily business and to finally focus the relevant. Inspires individuals or businesses to lead a life or foster a culture where everybody makes a difference every single day - for the good, benefit, and wealth of our surroundings and ourselves. Distinctive Leadership Thinking & Culture challenges and coaches individuals and businesses by mentoring and counseling. While inspiration/leader prioritizes the individual, intuition/company focusses on growing a shared culture. Challenging leitmotif are my Golden Rules, leadership questionnaires, and purpose profiles. Truly successful individuals continuously question and outgrow themselves. They inspire others through their role model example. 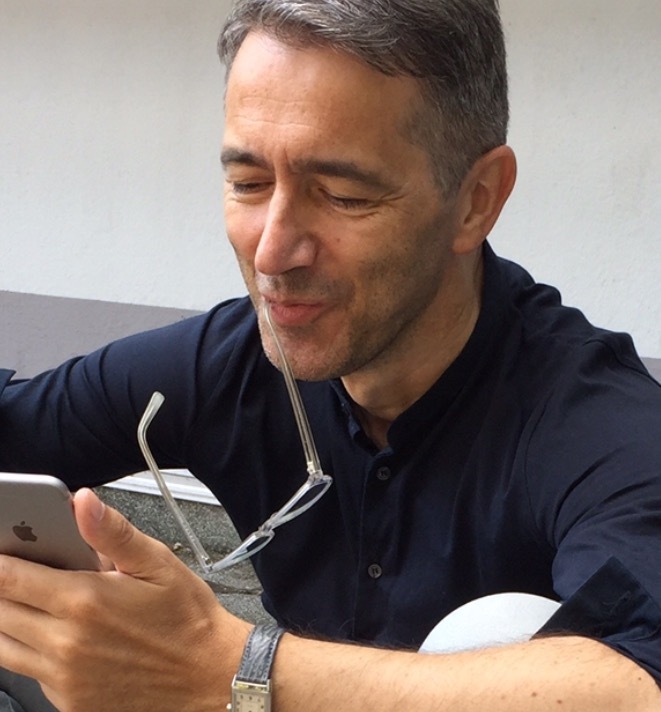 Vor allem, wenn gerade keiner guckt. Together we initiate strategic intuition and visionary thinking - and help you to master your daily small and bigger-than-life challenges. Together we identify your talents and potential, define your individual challenges, and let you finally become your authentic, relevant, and successful self - in life and business. Stop Making Sense! - Act! Don't Talk! - Reduce to the Max! Be Concentrated! - Be Consistent! - Be Consequential! Be a Spark! - Cha[lle]nge the Game! - Leave a Mark! Challenge Yourself! - Question Everything! - Improve Continuously! Beginner's Mind! - Empathy! - Pattern Recognition! Childlike Curiosity! - Peripheral View! - Synthesis! Connect with your Future! - ... your Culture! - ... your Nature! Use Insight! - Use Experience! - Use Good Judgement! Be Simple! - Be Emotional! - Be Iconic! To achieve true mastery we have to think holistically: Mastery in business starts with mastery in life. True inspiration/leaders in business are first and foremost true inspiration/leaders in life. Every corporation is an amalgam of individuals and brands. They all want to be respected and challenged, want to develop, grow, and self-actualize - united by a vision bigger than the individual's own. Together we seed a vision-based intuitive corporate culture by growing value(s), virtues, and vibes as well as pure purpose. Awake! - Grow! - Inspire (the Next)! Live Future! - Live Consumer! - Live Strategy! Use Your Intellect! - Use Your Intuition! - Use Your Imagination! Deliver Context! - Deliver Wisdom! - Deliver Clarity! grows the entrepreneurial thinking, structure, and culture to co/create a sustainably distinctive and successful future. relevant, distinctive, valuable, ... sustainably successful.